Extensively renovated 3 story end unit townhome in the very desirable gated community of Rockland Mills. Enter this beautiful and meticulously cared for townhome through the spacious tile foyer. This floor includes a room with ample closet space and is perfect for an office, den or workout room. Walk up the wide wood staircase and you will be greeted by an open floor plan with the great room that is open to dining area and kitchen. The great room features a corner fireplace, gleaming hardwood floors and French doors that bring in abundant natural sunlight and lead to a large deck. Here you will love entertaining or relaxing while taking in the view of the terraced hillside and woods. Beautiful custom kitchen boasts gourmet stainless steel appliances including brand new Sub Zero refrigerator and Kitchen Aid double ovens, warming drawer and cooktop as well as granite counters, glass tile back splash and inset cabinetry. Adjacent to the great room is a lovely sitting room with French doors that lead to a standing balcony. This room, with an adjoining full bath, can easily become a bedroom on the main floor by adding doors. On the third floor an impressive master suite and a second bedroom with en-suite bath await. The master suite features a private balcony, three closets and luxurious bath including large seamless glass shower, spacious vanity with granite counter and nook with glass shelving. Additional features include a 2-car garage with driveway for additional parking, laundry on the the bedroom level and all baths that have been fully updated. 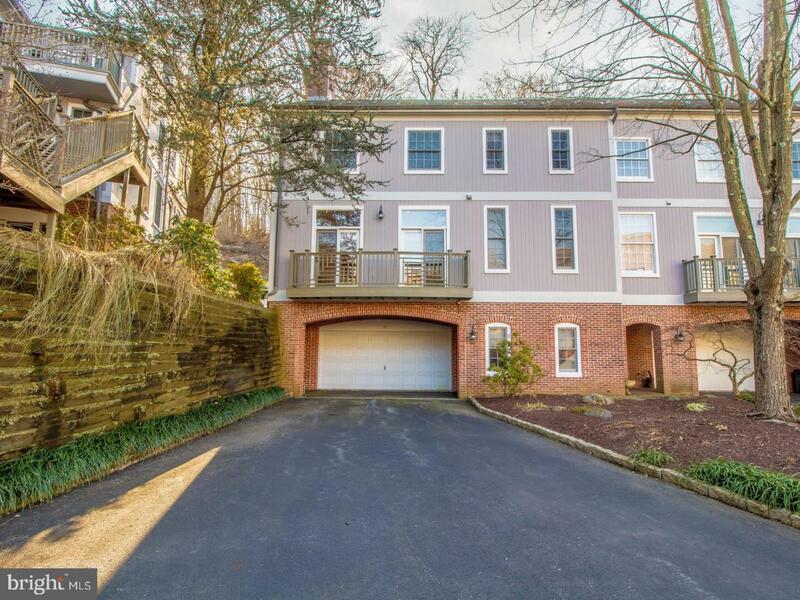 Located on the banks of the Brandywine River you will enjoy nature while being conveniently located only minutes from restaurants and shopping. This move-in ready, beautifully appointed townhome is a must see, and all furnishings can be negotiated.